By providing compassionate care, utilizing state of the art diagnostic and therapeutic interventions, we can help manage your pain and improve your quality of life. Premier Pain Care would like to welcome you to our practice. Like millions of Americans, you may be suffering from some type of pain syndrome. We at Premier Pain Care understand the complex nature of pain and how it can adversely affect every aspect of your life. Our staff is highly trained in the diagnosis and management of patients suffering from acute and chronic pain. Pain is defined by the International Association for the Study of Pain as: “An unpleasant sensory and emotional experience associated with actual or potential tissue damage, or described in terms of such damage.” Pain perception is affected by multiple factors, most of them not related to significant tissue damage. Interventional Pain Medicine is the branch of medicine that specializes in the study, research, evaluation, prevention, and treatment of painful disorders and diseases. Our expertise resides in the use of specific interventions, in order to obtain accurate diagnosis and provide effective treatment to patients suffering from different types of pain syndromes. The need for Interventional Pain Medicine was born from the challenges facing practitioners who treat patients with different pain syndromes. Even with the most modem technological diagnostic tools such as: MRI, CT Scan, Nerve Testing and complete physical examination, greater than 50% of the pain syndromes remain undiagnosed. By following a scientific based, individually tailored approach, were able to accurately diagnose over 90% of our patients suffering chronic and acute pain. 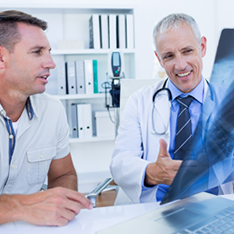 Although we specialize in spine diagnostics and minimally invasive interventions, we also treat a wide spectrum of pain syndromes, see Conditions Treated. We perform different interventions, ranging from epidural steroid injections to minimally invasive procedures such as: Disc Decompression, Vertebroplasty, Radiofrequency Lesioning and Spinal Cord Stimulation. For more information, see Therapeutic Interventions. Regenerative Therapy - Regenerative Therapy is a new field of medicine devoted to the treatment of multiple conditions by utilizing cells (platelets and stem cells) to repair damaged or destroyed tissues. These cells are obtained from the patient’s own blood (platelets) or bone marrow (adult mesenchymal stem cells). 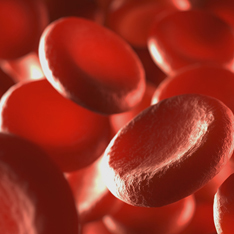 Regenerative medicine techniques, such as platelet rich plasma therapy (PRP), can provide faster recovery and prevent the need for more invasive surgical treatment. Our practice limits the use of cell therapy to two broad groups of musculoskeletal disorders. We treat patients with common conditions such as: plantar fasciitis, rotator cuff tears, arthritic joints, tennis elbow, sacroiliac joint pain and many other forms of degenerative changes. We also specialize in the treatment of acute and sports-related injuries such as: Achilles tendinopathy, patellar tendinopathy, grade 1 and 2 muscle strains, rotator cuff tears, tennis elbow, incomplete ligament and tendon tears.